Integrated professional services in the field of information technology. What SAP BI Consulting solution do you use? Analytics8 helps organizations make smart, data-driven decisions by translating their data into meaningful and actionable information. apsolut was the first IT service provider in Germany to specialise entirely in the implementation of SAP Supplier Relationship Management (SAP SRM and SAP SLC) and ARIBA procurement solutions. * We monitor all Softinsa reviews to prevent fraudulent reviews and keep review quality high. We do not post reviews by company employees or direct competitors. Validated reviews require the user to submit a screenshot of the product containing their user ID, in order to verify a user is an actual user of the product. Hi there! 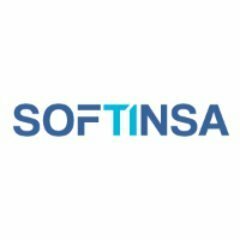 Are you looking to implement a solution like Softinsa?